17004 Edgewater Drive is an exquisite Port Charlotte waterfront home with vaulted, tray ceilings & crown molding. Gourmet kitchen, built in convection oven, microwave and cooktop. Huge family room with wood burning Fireplace. 8ft doors, 12ft ceilings. Romantic Master Suite with 2 separate sinks, garden tub and large walk around ”carwash” shower that steps out to a private patio. Fabulous, peaceful spot at the intersection of the Knox & Flamingo Waterways. Pebble-Tech pool within a huge screened patio. Paver brick back yard, Concrete Seawall, 50′ Concrete Boat Dock, Boat Lift with roof. 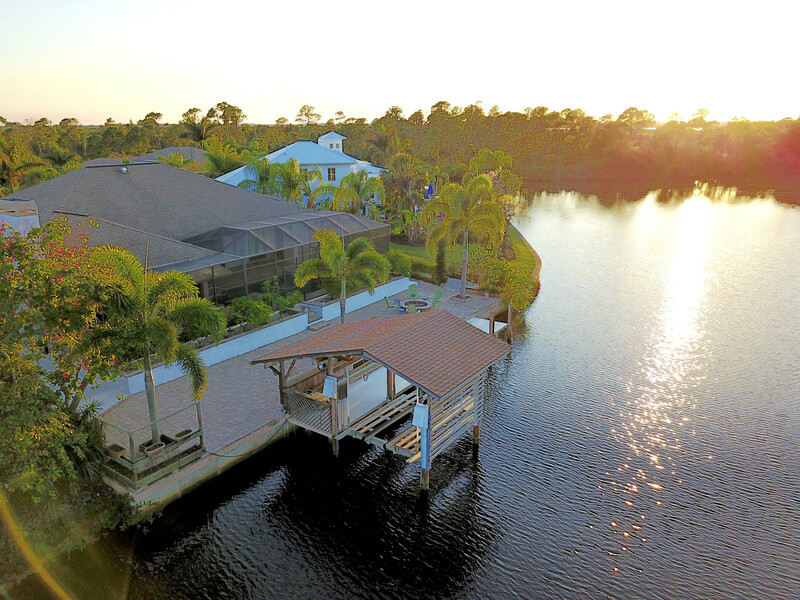 Fish right from your back yard or enjoy a scenic boat ride out to the Charlotte Harbor and on to the Gulf of Mexico. Pristine, preservation areas all around.